On Tuesday, eight science-credentialed candidates were elected to the House of Representatives. Nine science-credentialed representatives were elected to the 116th Congress after Tuesday's midterms—one senator and eight members of the House. Since 2010, the House Science Committee has been led by Republican Lamar Smith, who's been criticized for his skepticism on human-caused climate change. Rep. Eddie Bernice Johnson, a Texas Democrat, will likely take over as chair of the committee. The House will receive eight new science-credentialed representatives when the 116th Congress heads to Washington in January 2019. Among the newly elected are a biochemical engineer, ocean scientist, computer programmer and other science-related professionals. The Democrats among these new representatives were all endorsed by the nonprofit political action committee 314 Action, which trains and funds scientists who want to run for office in the U.S.
"Scientists are essentially problem-solvers," Shaughnessy Naughton, the president of 314 Action, told Business Insider. 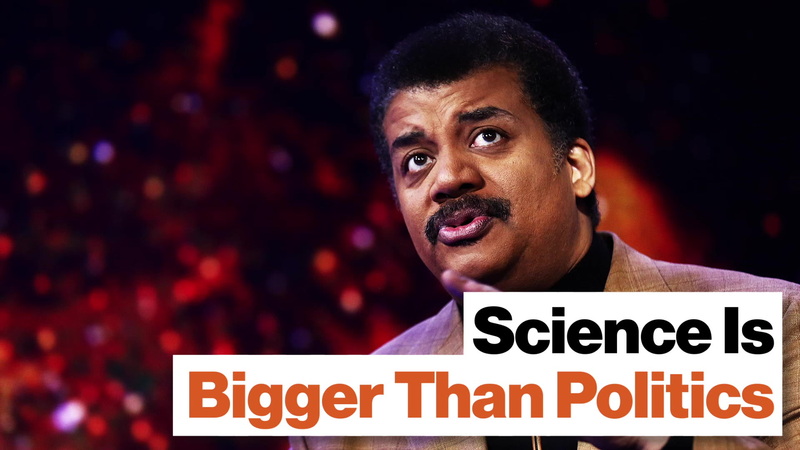 "Who better to be tackling these issues than scientists?" Congress currently has within its ranks three scientists, eight engineers and one mathematician. After Democrats took control of the House on Tuesday, some have wondered what changes will be made to the House Committee on Science, Space and Technology, which oversees federal scientific research and development outside of defense purposes. One key shortcoming of the committee in recent years, in the eyes of Democrats at least, has been climate change. "Hopefully we will no longer see the science committee used as a messaging tool for the fossil fuel industry," Rep. Bill Foster, an Illinois Democrat and science committee member, told Wired. "I look forward to hearings with a balance of witnesses that reflect mainstream scientific hearings instead of a small group of industry players." The previous chairman of the House Science Committee was Rep. Lamar Smith, a Texas Republican and lawyer by former profession. During his tenure, Smith publicly questioned the integrity of federal climate scientists and routinely questioned whether humans are contributing to climate change. Smith, who received $600,000 from the fossil fuel industry during his career, also said a carbon dioxide-rich atmosphere is "beneficial" to global trade. "The benefits of a changing climate are often ignored and under-researched," Smith said. "Our climate is too complex and the consequences of misguided policies too harsh to discount the positive effects of carbon enrichment." It's likely that Rep. Eddie Bernice Johnson, a Texas Democrat and former nurse who's served on the committee, will replace Smith. In a statement released after the midterms on Tuesday, Johnson said that, if elected, she hopes to restore "the credibility of the Science Committee as a place where science is respected and recognized as a crucial input to good policymaking." "I know that there is much that we can accomplish as Democrats and Republicans working together for the good of the nation," Johnson said. Andrew Rosenberg, director of the Center for Science and Democracy at the Union of Concerned Scientists, said scientific issues like climate change don't need to be partisan. "I think it will be quite dramatic," Rosenberg told The Hill. "She wants to restore the focus of the science committee and the real culture of the committee is working in a bipartisan fashion. These things aren't inherently partisan unless someone like Lamar Smith makes them so."